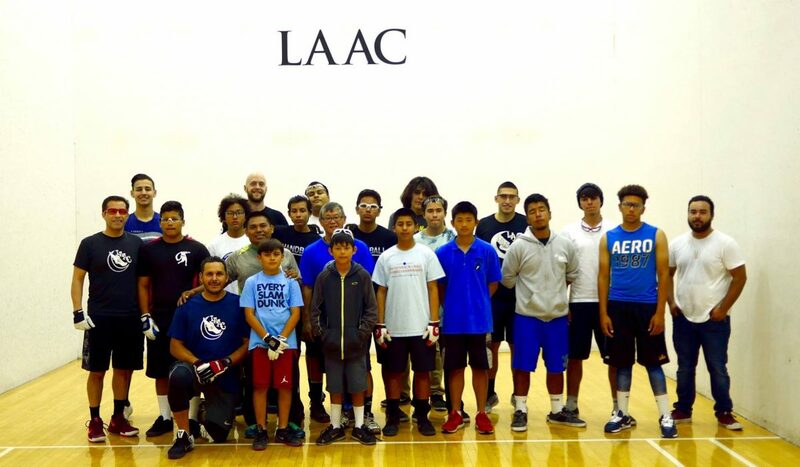 Los Angeles, CA, WPH Press, 5/21/17- The famed Los Angeles Athletic Club hosted the LAAC Spring Open, honoring the life of LAAC handball ambassador Wafe Risner. 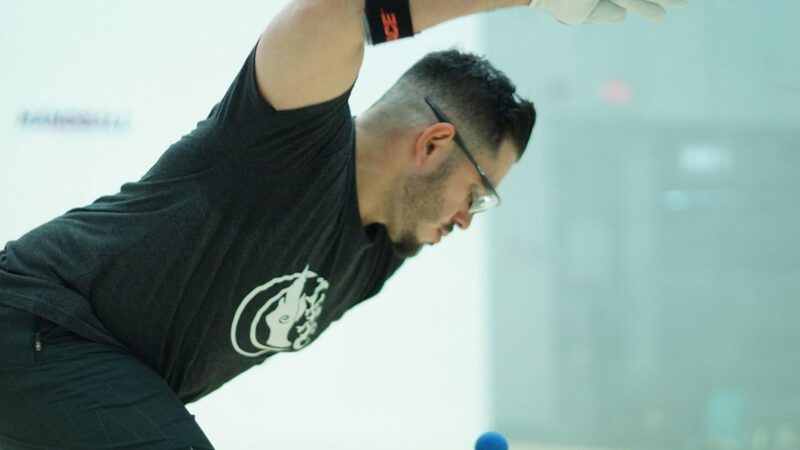 The pro singles field featured four of the WPH Race 4 Eight’s top 12 pros, as well as former 4-Wall and 11-time 3-Wall pro singles national champion Vince Munoz. 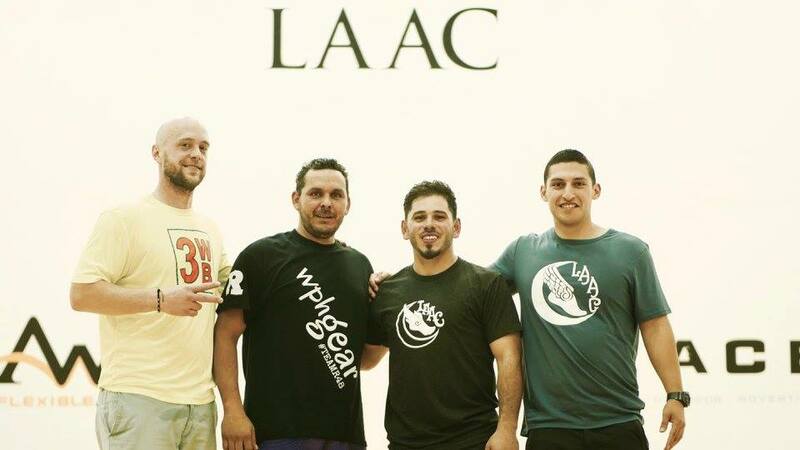 R48 #6 Sean Lenning entered the 2017 Wafe Risner as the defending champion and top seed, while R48 #4 and last year’s Wafe Risner finalist Mando Ortiz entered this year’s event as the #2 seed and seeking to defend his home court at the LAAC. Ortiz’s LAAC rival and WPH Senior Race #1 and R48 #11 Marcos Chavez grabbed the #3 seed, while R48 #10 Vic Perez and Vince Munoz earned the four and five seeds, respectively. Top-seeded Sean Lenning cruised past Eli Barajas to advance to a semifinal showdown with Perez, while in the bottom bracket, Mando Ortiz and Marcos Chavez advanced in straight sets to face one another in bottom bracket semifinals. Sean Lenning controlled the action throughout his two-game win against Vic Perez, executing pass shots and kills to keep Perez off-balance. “It just never felt like Vic was in the match or had a chance to make a comeback in either game,” stated WPH reporter Andrew Garcia. 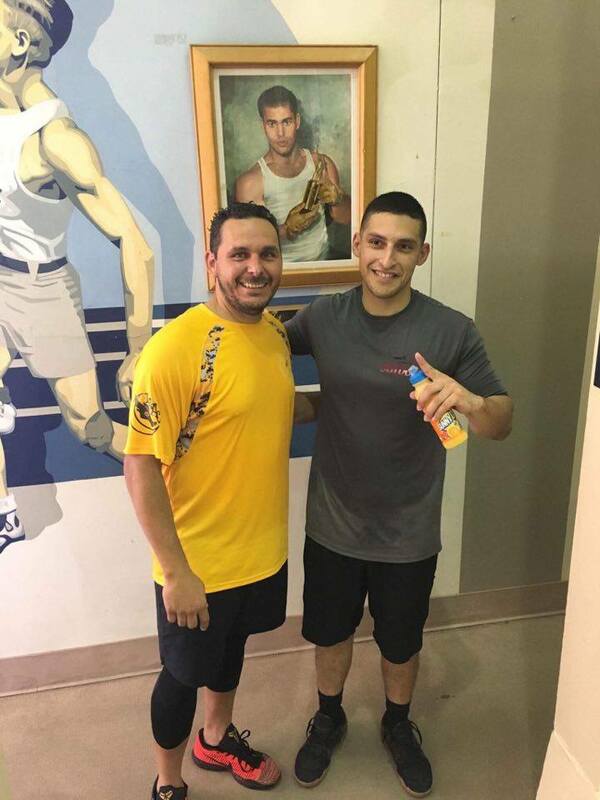 Sean Lenning and Mando Ortiz met for the second consecutive year in the Wafe Risner final, with Lenning winning last year’s final in two games against the former R48 #1. The pair met most recently in the quarterfinals of last month’s WPH Player’s Championship in Salt Lake City, with Lenning winning that match-up in two games. 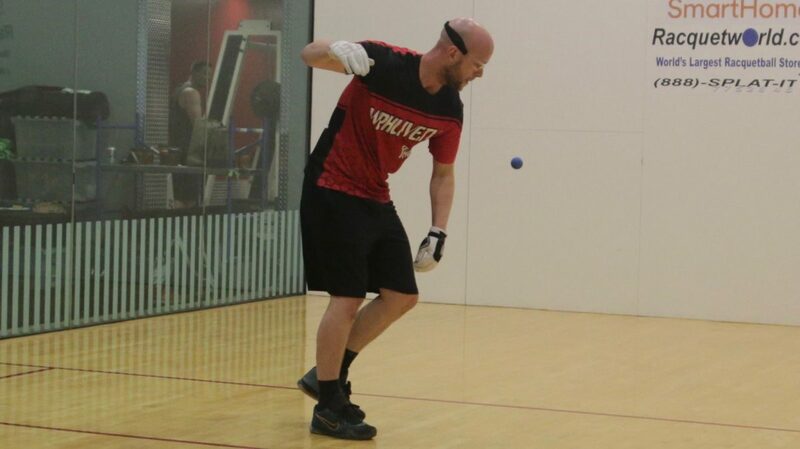 Lenning entered the Wafe final still nursing a left shoulder separation sustained at February’s WPH 3WallBall Royal Flush, while Ortiz continued to be plagued by severe tennis elbow on his right arm. Both found ways to compensate en route to the final, with Lenning using underhand fist shots with his left and backhand shots with his right and Ortiz using more fist drives to take the pressure off his injured wing. Race 4 Eight pros Vic Perez, Mando Ortiz, Sean Lenning, and Marcos Chavez kicked off the 2017 Wafe Risner with a sensational junior handball clinic on the first afternoon of the event, inspiring the next generation of Southern California handball superstars. The pros split the group of 15 junior players onto two courts, teaching serves, back wall technique, ceiling shots, kill shots, and introducing the proper pre-shot footwork and tactics. Following the instruction, the pros played doubles points with the youngsters, giving the next generation of players the opportunity to experience handball at the highest level. Thank you to WPH reporters Marcos Chavez and Andrew Garcia for the updates and pictures from the 2017 Wafe Risner LAAC Spring Open.